We stock many pool tables so please contact us to find out if we have what you want. If the pool table you want is not in stock we will give you a good idea of how long it would take to build. If in stock we can get it ready to ship and picked up by freight typically in just a few business days. When your pool table is picked up by the freight line we will then contact you with the shipping details of the freight company. Setup can usually be done the next or within a few days after delivery. Please let us know if there is not access for a semi-truck to your drive, in which case other arrangements would need to be made for delivery..... like a smaller vehicle usually at a nominal cost. If we have an installer in your area that we have used in the past, we can ship the table to them and they can bring the table to you the day of setup. Each table comes on a pallet with approximately 12 pieces to be individually carried into your house or garage. We have professional pool table installers in all 50 states. Install usually takes about 2-3 hours and will be done by a professional BCA ceretified installer. Once the table is set up we appreciate any photos you would send us to show the beauty of your billiard room and to use on our website... we love seeing those photos. Simply give us a call at 402.438.4398 and we will be happy to take time to answer any of your questions and take your order. We will coordinate everything with you and the freight and installer. 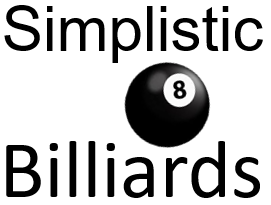 We will keep you notified to make the delivery and setup of your pool table go as smoothly as possibly. So that you and your family and friends are playing on your table asap. We accept all major credit cards except American Express. We pass along a 3% discount, (average merchant credit card charge cost), for any orders paying by check or bank wire. We require 1/2 down at time of order and the balance when the table ships. Make checks to Generation Simplistic Billiards, thank you. Your personal Information and credit card information is never resold, or given to a third party. The only information given is to the shipping company so they may deliver your purchase to your address, and contact you if necessary and to the installer so they may also contact you. We provide parts and labor warranty under normal use when you use one of our installers. We have never had a pool table returned in 10 years because 100% of customers have been completely satisfied over the course of 10 years and we have had 0 complaints with the Better Business Bureau since joining in 2006. All sales are final, we do not accept returns or refunds. We do guarantee that the table will be new and in new condition, and if there is any damage from freight we will remedy the issue as fast as possible. We will send a replacement part/s if needed so you can have your table set up and playing without having to wait for a freight claim to be complete. Please contact to see if we have the table you want in stock, otherwise due to the one of a kind distinct handcraftsmanship put into each and every pool table please have patience and possibly expect about 2-3 months for a table of this quality and grandeur to be made.